James Franco was honored with a Critics’ Choice Award last night for his work on The Disaster Artist, despite The Los Angeles Times publishing allegations from five women that he’d engaged in exploitative or sexually inappropriate behavior while they were his students or mentees. 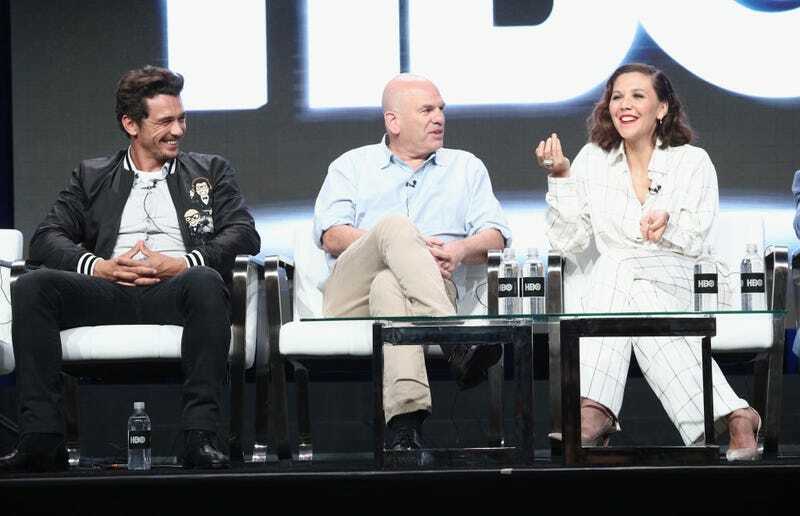 And it appears that HBO is also withholding any tough love for the moment—according to The Hollywood Reporter, the premium-cable network plans to wait and see what comes of the accusations before making any decisions on Franco’s future on The Deuce, in which he plays smarmy twins. HBO has acted more decisively against alleged harassers and abusers in the recent past; before Louis CK admitted to sexual misconduct, the network cut ties with the Lucky Louie creator, and also nixed plans for a miniseries with Mark Halperin, who was fired by NBC News after five women accused him of sexual harassment.